Loubee Lou Blogs: Opal Plumstead! I was delighted to be sent another glorious Jacqueline Wilson book to read and review. 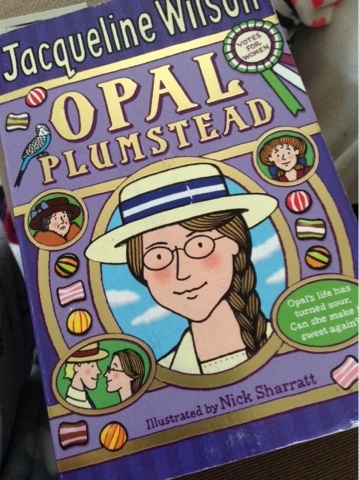 This time, it's Opal Plumstead: Jacqueline Wilson's 100th book! You can take a look at the book trailer here for a little more information. The book is based on the main character Opal. Opal has always been incredibly intelligent so it was no surprise that while attending her school she received a scholarship. But as her father is sent to prison, Opal finds herself in a sticky situation giving up her dreams to work in a sweet factory. Opal is isolated from everyone she loves including her best friends who aren't allowed to see Opal because of her father's actions. 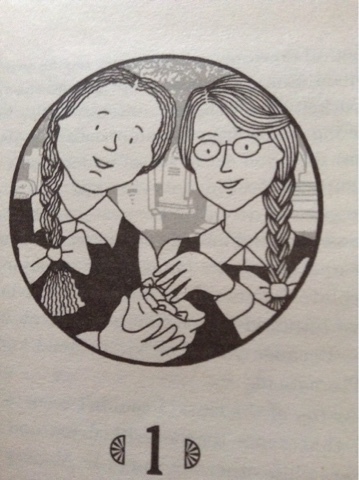 The book is set in the past which makes is stand out from the typical Jacqueline Wilson novels. The alternative setting makes for a great atmosphere and change from the usual 'in the now' books. 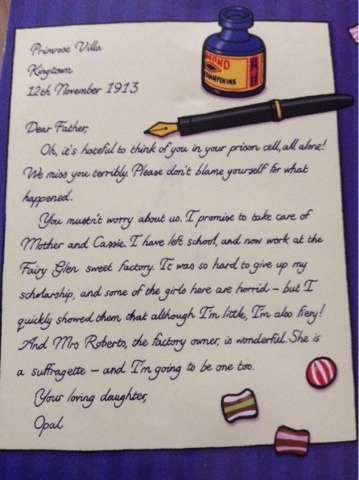 The book features many heavy subjects such as the suffragette movement and war in a way that makes them easily approachable and appropriate for young-ish readers. This comes as no surprise as Jacqueline Wilson has always had that special way of breaking down the hard hitting issues and lacing them into softer words and weaving fluent, gentle stories. I feel like the themes of the book are a lot deeper and more 'grown up' shall we say? I would recommend it for ages 11+ depending on the child's maturity and things. But as for a limit? The book is ageless. I think older readers will enjoy the story just as much as anyone else. In a part of the story, Opal befriends the factory owners son who is later sent to serve as part of the armed forces. The book contains many twists and sometimes heart wrenching turns that are guaranteed to keep readers both young and old gripped. Although Opal Plumstead may be described as plain her story certainly isn't. It's a sweet story filled with romance, friendship and pure tragedy. When reading books aimed at younger readers you expect there to always be a happy ending. With Opal Plumstead you get honest gritty life. There are many harsh events that fill her life. I love the way Opal is forced to deal with the harder topics and life's real hurdles. It is a great book for teaching about struggles and never giving up on yourself. The plot and story lines are fantastic and you're definitely in for an emotional journey. Opal is a fantastically feisty little madame that fills the book with so much character. You can find the book in all good retailers and online in places like Amazon.